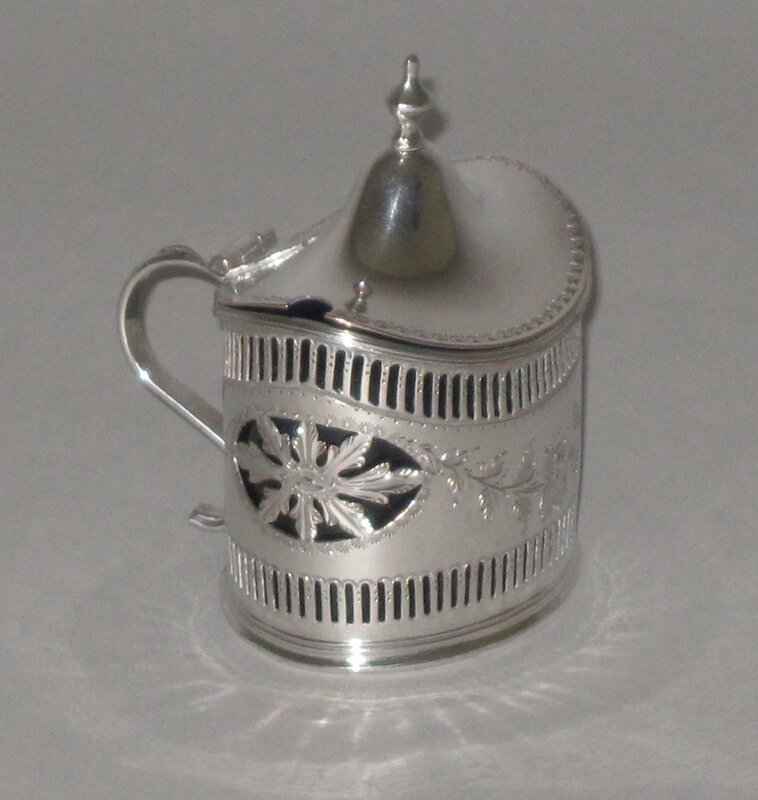 OLD SHEFFIELD PLATE SILVER MUSTARD POT, CIRCA 1785. AN OLD SHEFFIELD PLATE SILVER MUSTARD POT. GEORGE III, CIRCA 1785. Of side handled oval lidded form with pierced and chased decoration and with a blue glass liner.